The guys will be discussing the new happenings at SGIA in Orlando and some of their thoughts for 2014. 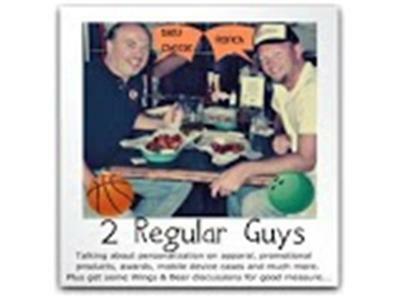 We will also announce the nomination categories for the 2013 2 Regular Guys Podcast? First Annual Awards. The guys will be covering all things decoration, t-shirts, sublimation, mobile device cases, direct to garment, vinyl, screen print, transfers and more.